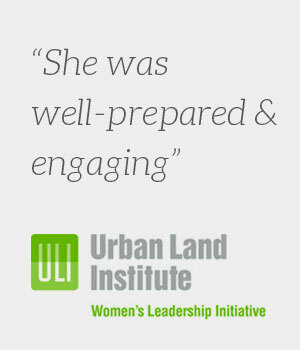 Lisa Nickerson is a member of the WLI/ULI (Women’s Leadership Initiative – Urban Land Institute) and I have known her for about 3 years. We had the pleasure of having Lisa speak to our group about Personal Branding; she was outstanding. She was well-prepared and engaging. Her PowerPoint was so well-done, having information and videos of real life examples of personal branding. She certainly has developed a personal brand and is extremely passionate about it. And it shows in her work, including the speaker presentations she has conducted. The turnout for that session was great and the feedback we received even better. We have invited her back to speak to our Steering Committee; and even more important, we have asked her to participate in a Weekend Hotel Women’s Event we are hosting in conjunction with Boston University next spring. We are confident that her passion, poise and message are important to communicate to these women graduates as they embark upon their own careers.